In Born to be Brothers, the reader will follow the exploits of a Confederate soldier, Private Kentlock Falconer, and a Union soldier, Private Rudolphus Zoll, as they fight a war that will decide if the Union is preserved, or if a new nation will spring forth on the North American Continent. Both young men are brave in the extreme, believe strongly in what they are fighting for, and do not hesitate to kill their enemy to advance their cause. What they do not realize is they are more alike than they are different. But the politicians and the generals want a war, and it is their lot to fight it. If you are a history buff, Born to be Brothers is a book you will very much enjoy. If you are a Civil War history buff, this book is a must read for you. But if you are one of those people who detests history because your high school teacher made you memorize all those dates and places and names and compacts and treaties ad nauseium, then you absolutely must read this book! When you do, you will realize that history is more than dates and places etcetera, it is about people and their stories and how the events of our past affect our lives today. Civil War journal by a Wisconsin soldier. Story about Dr. Jacob Francis (U.S.N.) and General John Tourtellotte U.S.A. The author's extensive research on this Civil War Cavalry company details their experience: fighting heroically at Gettysburg, 27 other battles, receiving the surrender flag at Appomatox, and being sent west to build a fort in northern Wyoming territory after the war. Details and examples are drawn from first-hand accounts, primarily pension files. It also explores pre- and post-war conditions, social and medical issues, genealogy, and issues that affect society today. Lincoln, the Radicals, and the seeds of the modern leviathan. 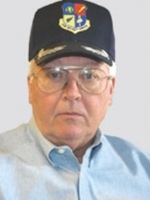 T. Wayne Babb is a southerner by birth, originally from Ft. Payne, Alabama, but he grew up in Chattanooga, Tennessee. Babb spent 30 years as an intelligence analyst with the U.S. Air Force and 10 years with the National Reconnaissance Office, a division of the CIA. He is now retired.